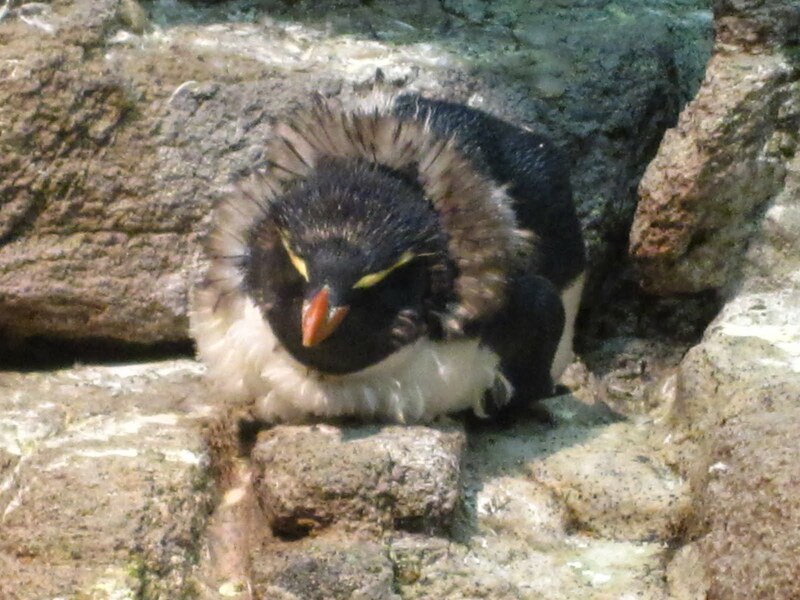 As mentioned before in this previous post, penguins molt their feathers every year. This process takes about 2-3 weeks. As they approach the end of the molt it is exciting to see the interesting patterns the last remaining patches of old feathers make. Here are some fun looks from our penguins. Once the penguins complete their molts, they have slimmed down to their original weight, have a brand new set of feathers and are ready to face the cold ocean water until next year, when they start the process all over again. All done and showing off new feathers! We'll be posting a video of our rockhoppers in the middle of their molt very soon. Stay tuned!